It was 95 degrees when I arrived for tonight’s 7:00 CSA work shift. We checked members off on a list, restocked vegetables and loaded the unclaimed food into a car for transport to a local food pantry. As it happened, all four of us were nonprofit workers, so we talked shop–and sweat. By 8:30, we said our goodbyes and headed off in search of air conditioning, dinner and (at least in my case) a cold beer. My tote contained my weekly share of red and yellow tomatoes, scallions and more of those delightful cucumbers. In the fridge at home I had some fresh dill and Greek yogurt left over from this past weekend’s Russian extravaganza. Crack open a cold beer. Toss the above ingredients together in a small mixing bowl, taking swigs of the beer as needed. If you’re not starving, chill this in the fridge for a bit. If it’s all you’re eating, you might want to toast some whole wheat flatbread, tear it up into bits and mix it right in. 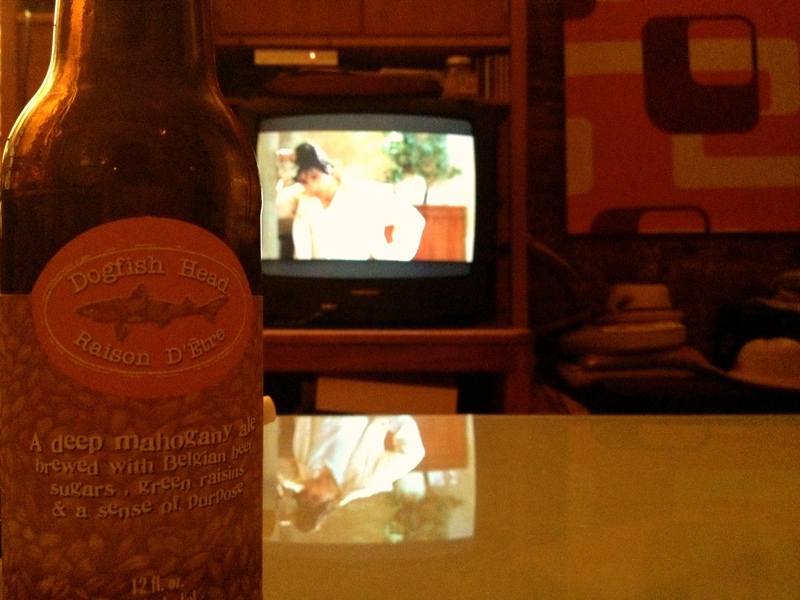 I found that this paired well with a Dogfish Head Raison D’Etre and Dog Day Afternoon, which is one of my all-time favorite movies. Make this salad or not; I don’t really care. But, if you’ve never seen Al Pacino in his prime, do yourself a favor. 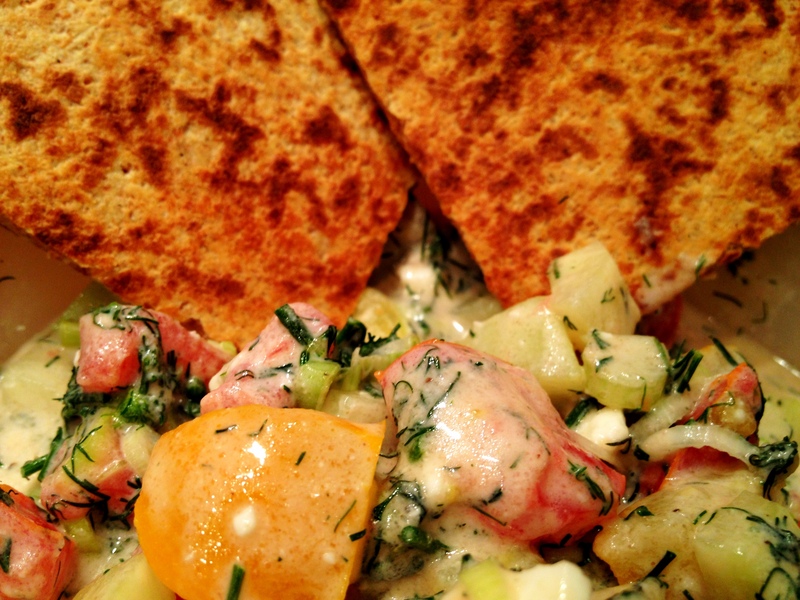 This entry was posted in quick lunch, salads and tagged cucumber, dill, feta, scallions, yogurt by Jasmine Nielsen. Bookmark the permalink.